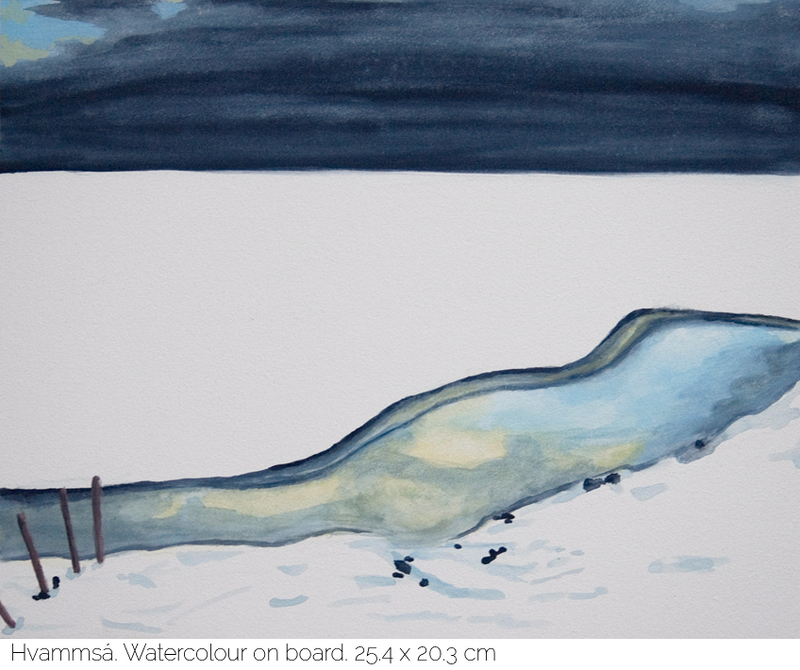 Ciara O'Hara | Hvammsá, watercolour on board. Home / Painting / Hvammsá, watercolour on board. Inspired by a river running through the snowy Icelandic landscape on a cold January day. This is an original painting, using watercolour on an aquaboard. The board has a depth of 2.2cm and can be hung straight away without the need for a frame. 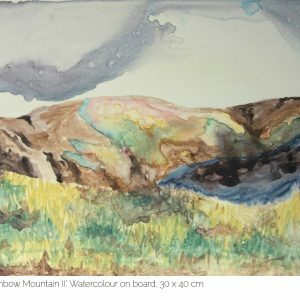 Rainbow Mountain II, watercolour on board.